A complete range of styles and sizes for almost every fastening need. 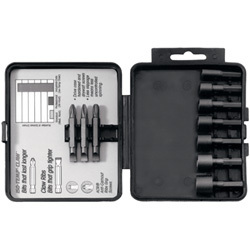 These screwdriver bit assortments are the perfect complement for any electric drill or power screwdriver. All bits are fully hardened and tempered for long life under constant, heavy-duty use.